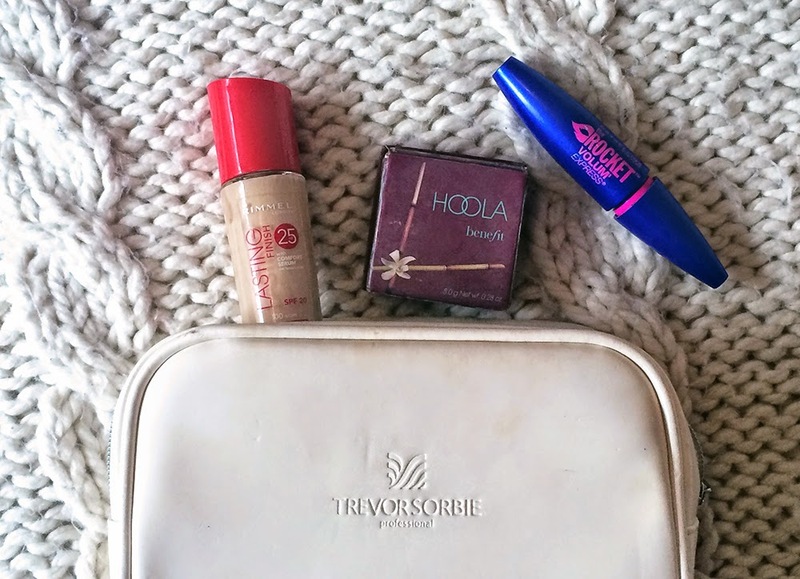 I have picked out three make up products I find are key essentials in my daily make up regime and literally could not live without. Lets just say this was not an easy task I gave myself. First up I would choose foundation, I have not picked any particular brand but I would go for a more lighter shade from my collection. As I struggle with break outs pretty much every single day I do sometimes feel uncomfortable to leave the house without wearing a layer, whether it is just a small base or rocking a much heavier look. I always feel that the rest of my products apply much easier and last a lot longer throughout the day as they can stick to the foundation. Secondly, without even a glimpse of hesitation I would pick out mascara, an instant pick me up product. Straight from the lightest application it seems to brighten the eyes and give a structure to your face, it really does make your eyes look much wider. I love it and if I am not wanting to really wear any make up then I just put a bit of foundation on to make myself feel more awake. The last product was very difficult to decide and took me forever, I kept picking up different products and putting them back down again. In the end I chose bronzer, the reason for this is that it is a fantastic all round, multipurpose product, you could either go for a strong contour look, or just gently sweep it across your cheeks instead of blusher, but also it can be used on the eye lids in favour of an eye shadow. I love a bronzer to add some warmth and colour to my face being fairly pale, especially now we are heading into the winter months. I would love to hear if any of these products would make your final three, or which products you would choose instead of these. I haven't tried the others, but I agree with you on the Rocket Volume mascara. Maybelline can't really be beaten for that sort of thing.